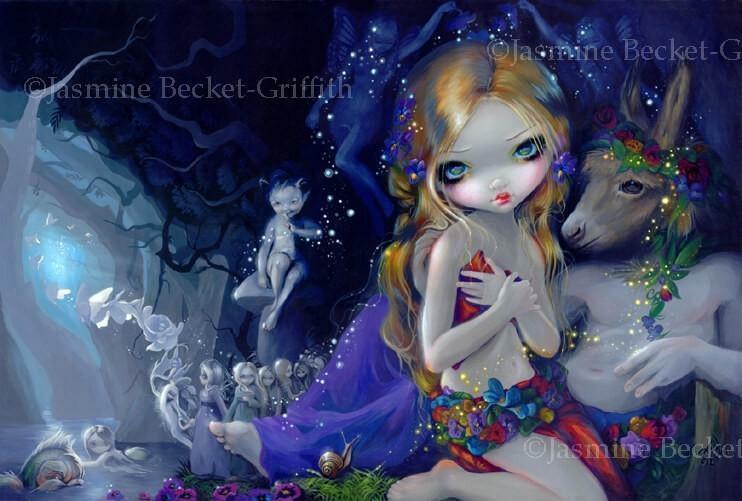 One of the pieces I painted for Disney that debuted during my celebrity autographing event at Disney’s D23 Expo 2015! Also now at WonderGround Gallery in the Downtown Disney® District at the Disneyland® Resort in Anaheim, CA (and shortly popping up at the WonderGround inside the Marketplace Co-Op here at Disney World in Florida). Licensed & contracted by Disney, ©Disney, this is my original acrylic painting featuring Disney’s Snow White from the animated film “Snow White and the Seven Dwarfs”. 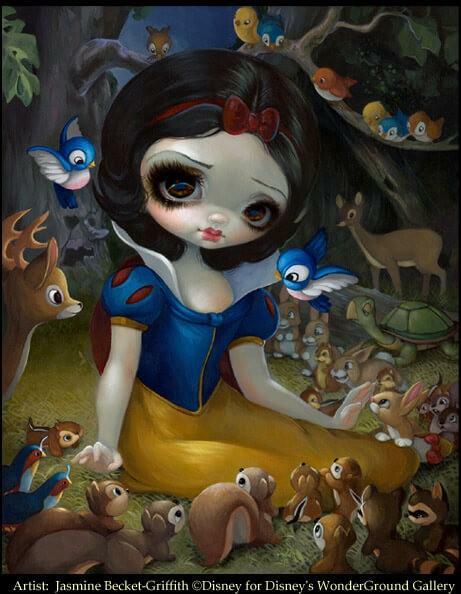 Snow White is portrayed here in the forest with all her critter friends! Bluebirds, squirrels, raccoons, chipmunks, turtles (love him in the movie), deer and more – over 36 animals in all. Prints, postcards, merchandise and Limited Edition Canvases are available exclusively through Disney. 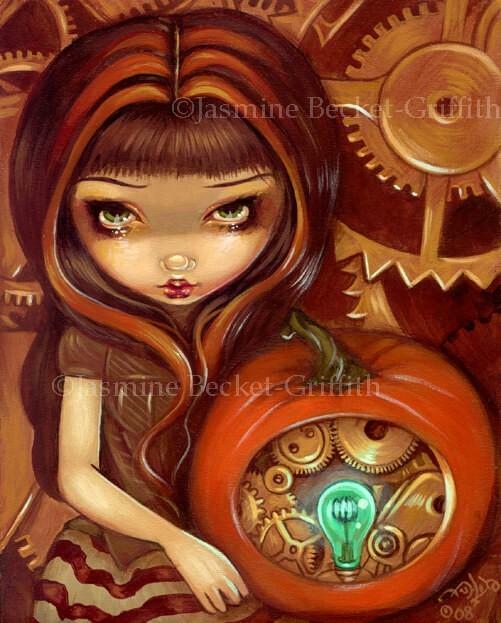 If you are in California, you can get this image in various formats at Disneyland’s WonderGround Gallery. In Florida, she’s available (or will be shortly) at the WonderGround Gallery there located inside Disney’s Marketplace Co-Op in their Downtown Disney / Disney Springs, as well as various other locations at Walt Disney World.